I first met Lisa Champion and Nigel Champion at PT On The Net's Meeting of the Minds in Colorado a few years back. They were kind enough to invite me out to Sydney for FILEX 2011, allowing me to share my views on the changing fitness industry. Thanks to them both. I learned that they are launching fitforgood - aiming to enhance the lives of Australians in need by providing health and fitness opportunities. What a wonderful idea and what wonderful people. 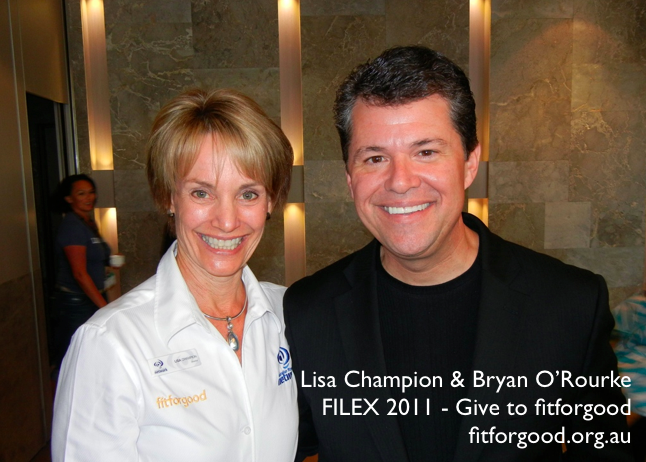 Please let me, Bryan O'Rourke, know that you are going to give and get involved in fit for good.